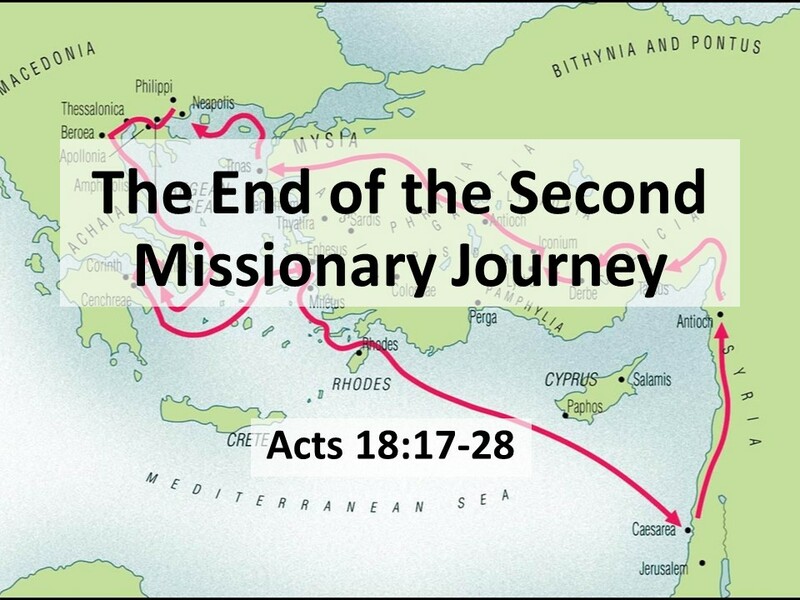 Today we’re coming to the end of Paul’s second missionary journey as he leaves Corinth and heads back to his home base. What a trip it’s been. He started out a few years earlier with Silas in Antioch of Syria. If you don’t know where that is, think Aleppo. Antioch was just down the road, by the Mediterranean Sea. Today, it appears Paul leaves Timothy and Silas behind in Corinth. Perhaps, too, he’s leaves behind Luke, for we’re given little insight into the next legs of his journey. We’re only told that he visits Ephesus, then sails to Caesarea before traveling overland to Jerusalem (presumably to check in with the church there), before heading back up through Syria to Antioch, his home base. Let’s listen. Read Acts 18:18-28. 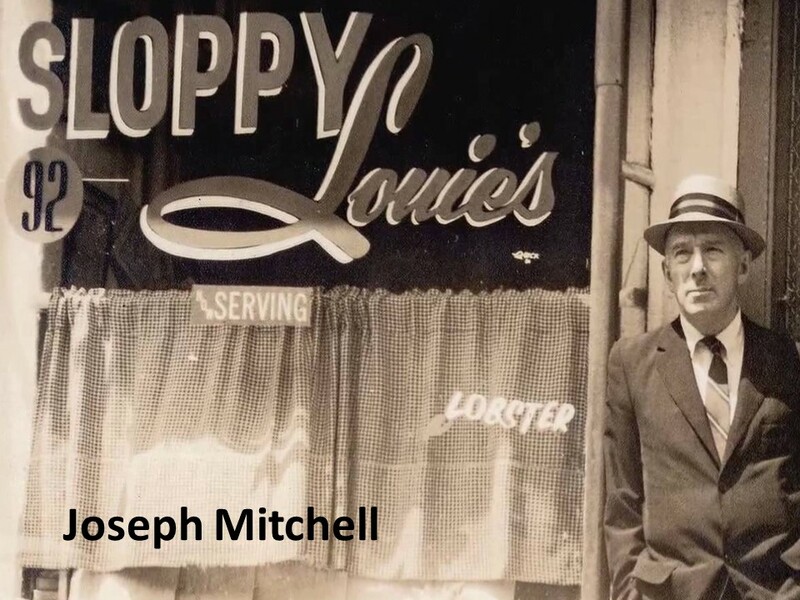 Joseph Mitchell was a reporter for the New Yorker, whose stories from the 1930s through the 50s are filled eccentric characters he met while walking the streets of his adopted city. But he wasn’t from New York. He was born in Fairmont, North Carolina. In addition to his stories of the eccentrics of New York, he wrote of a few of rural people he’d known who were just as eccentric. One was about Miss Copey. Her real name was Copenhagen; her parents named her for a brand of snuff. Mitchell knew her when he was in high school and she was the cook at the restaurant in the train station. She later married Thunderbolt, who had a small watermelon farm in a lonely spot along the river. However, most of his income didn’t come from watermelons, but from his skill at producing some of the best liquor in the county. His occupation required him to live in a secluded place. At that period, which was the autumn of 1926, there was dissension in many rural Baptist churches in the South over the ceremony of immersion. 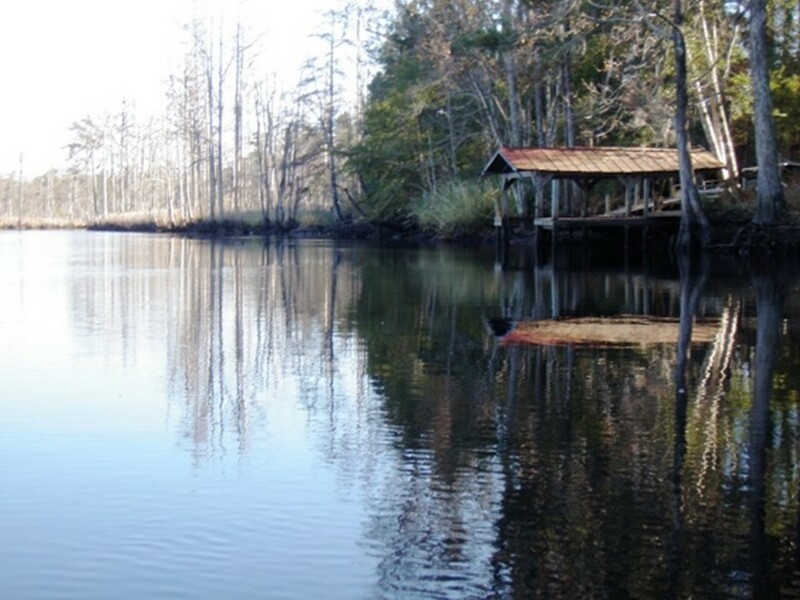 One group believed a convert should be immersed three times face forward in the still water of a pond and the other favored a single immersion in the running water of a river. The opposing groups were called the Trine Forwarites and the Running Riverites. Miss Copy became a church goer merely because she wanted to sing some hymns, but she soon got mixed up in this theological wangle…. Our passage today is a bit rambling, but perhaps that’s appropriate. After all, this is day we celebrate World-wide Communion and Paul, circling around in his travels, covers about the third of the known world of the time. 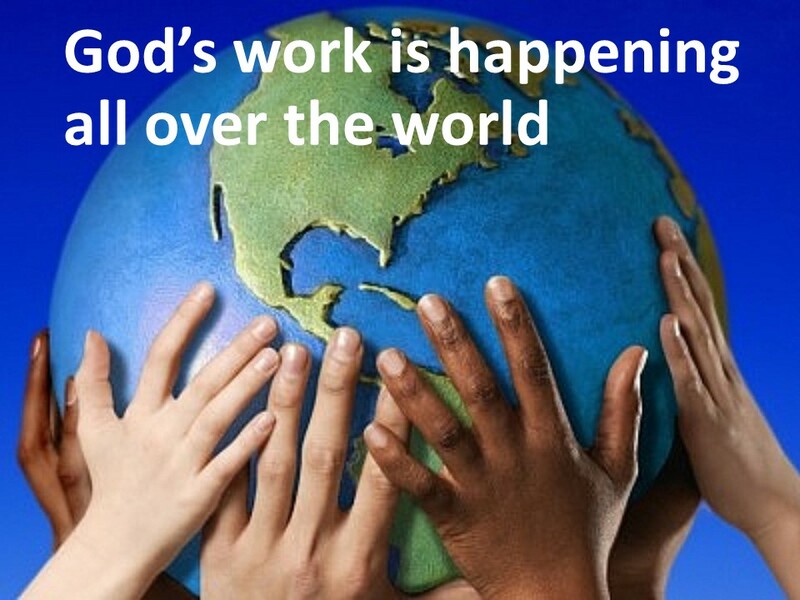 We see that God’s work is happening all over the world. Paul puts in the miles, over land and water, traveling in Europe and Asia. He pretty much covers everywhere between Greece and Jerusalem. All along the way there are pockets of Christians celebrating the meal we’ll be celebrating this morning. This meal, this table, is what unites Christians around the globe. We’re not really given any details of Paul’s encounters except to learn he visited a barber and that those in Ephesus want him to stay longer. His haircut, which had to do with a vow, has led to all kinds of speculation by scholars and no real consensus. I’m not sure what we can learn from that. The promise he made to the Ephesians, that he’d return if God’s willing, foreshadows what happens in Chapter 19. Paul will spend a significant amount of time there. In addition to Paul’s travels, we witness the work of other important first century missionaries. There’s Priscilla and Aquila and Apollos. God’s work is happening all over the world and it takes all kinds of people to fulfill the mission. I think our passage in Acts for today, which serves as a bridge between Paul’s activity in Corinth and Ephesus, is to remind us that the spreading of the gospel isn’t all about the heroic works of Paul. Two-thirds of Acts is about Paul, his journeys, his teachings, and his suffering for Christ. But Paul was just one missionary and was limited by what he could do. He wasn’t able to tweet out to everyone, or to drop an email to hundreds of his closest friends, or write a syndicated opinion column to be reprinted in newspapers across the Empire. So while Paul is out traveling and preaching, others are also involved in the sharing of the gospel, as we see in this text with the introduction of Apollos. For us, we should remember that the burdens of the world don’t sit just on our shoulders. God has a way of calling people to his work in the world. Apollos strives to follow Jesus. He’s gifted with the ability to speak and inspire. He uses this gift to spread the message. 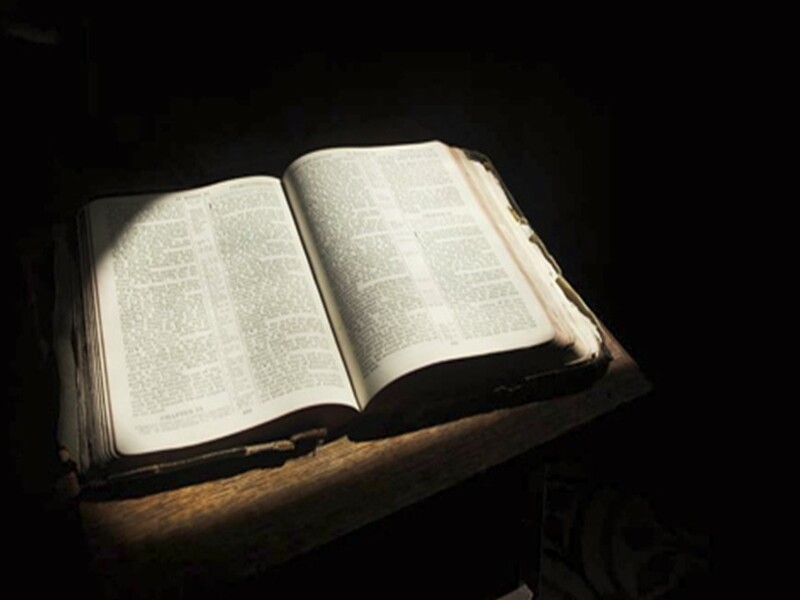 Interestingly, because of the elegance of the writing in the Book of Hebrews, of which our Presbyterian Women are studying this year, Martin Luther suggested that Apollos might be the author as the book is anonymously penned. Sadly, Apollos didn’t have the opportunity to attend seminary and to pass the church’s ordination exams. There are gaps in his education. God’s work is happening all over the world and it takes all kinds of people to fulfill the mission, and not all of these people are perfect! Imagine that! This should give us hope! Apollos only knows of John’s baptism, which is important, but just a part of the story. 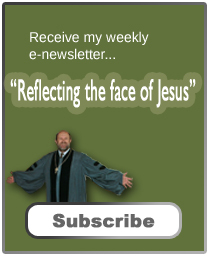 John baptized to signify forgiveness, the washing away of sin, but baptism is now more than that. It’s the sign of the New Covenant. Look how Priscilla and Aquila handle this situation. They don’t step up to the mic while Apollos is preaching and say, you got it all wrong. They don’t make him out to be a fool in front of the entire city. Instead, using a technique Jesus lays out, they pull Apollos aside and privately instruct him. We should learn from this example when there are those who’s theology or behavior needs to be tweaked. There is nothing to be gained by making everything public—it only puts the offender on the defensive. Instructing in private helps maintain the dignity of the offender and allows them to change without embarrassment or loss of prestige. Apollos accepts their teaching. God’s work is happening all over the world and it takes all kinds of people to fulfill the mission. We can be thankful for such people, but we should also realize that we’re to be a part of God’s mission. Although we’re all to do our part, we don’t have the heavy burden of everything resting on our shoulders. Rejoice for someone in the past taught us about Jesus, and if we do our part, someone will be there to take our place in the future. The church, from its very beginning, has been in capable hands. Jesus called Paul on the Damascus Road. He was a significant missionary, but he wasn’t the only one. There was Barnabas and Mark and Silas and Timothy and now Priscilla and Aquila and Apollos. Let me say a bit more about Priscilla and Aquila. Do you notice the interesting swamping of names here? In Corinth, when we were first introduced to them, it was Aquila and Priscilla. The husband’s name was first. But for some reason, as they prepared to leave Corinth with Paul, Luke shifts the order of the names and continues, putting the wife’s name before her husband’s, implying that she has a major role as a teacher in the early church. This, I’m sure, raised some eyebrows in the ancient world, but it goes with Paul’s teaching that there is no longer Jew and Greek, slave and free, male and female, for we’re all one in Christ Jesus. It also means everyone in the church is available for God’s work! I don’t know what we’d do without the Presbyterian women and other women groups of the church. God’s work is happening all over the world and it takes all kinds of people to fulfill the mission. 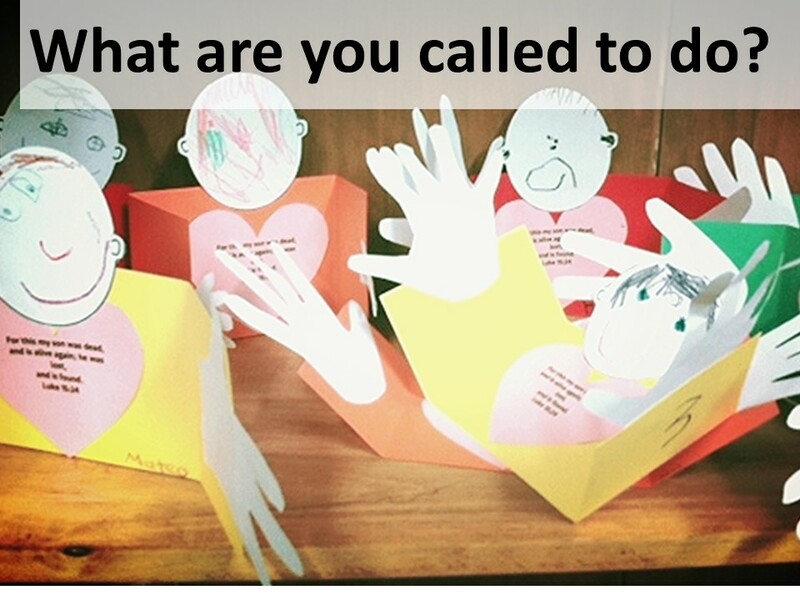 What is God calling you to do to further his kingdom? Today, as we come to this table, give thanks for those who accept the calling to share the good news of Jesus Christ as we pray for sisters and brothers of the faith around the globe. Joseph Mitchell, “I Blame It All on Mama” in Roy Blount’s Book of Southern Humor (New York: W. W. Norton, 1994), 47-48. Beverly Roberts Gaventa, Acts (Nashville: Abingdon, 2003), 262-263. F. F. Bruce, The Epistle to the Hebrews (Grand Rapids: Eerdman, 1964), xxxix.